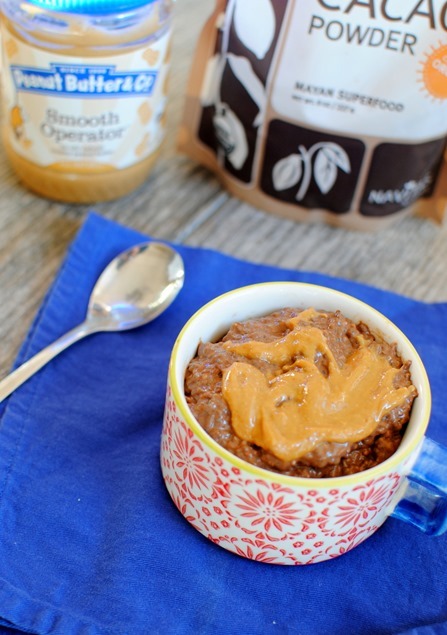 This recipe for chocolate peanut butter chia seed pudding is a delicious dairy-free dessert made with fiber-rich chia seeds, creamy peanut butter and cacao powder and is sure to satisfy your sweet tooth in a healthy way. 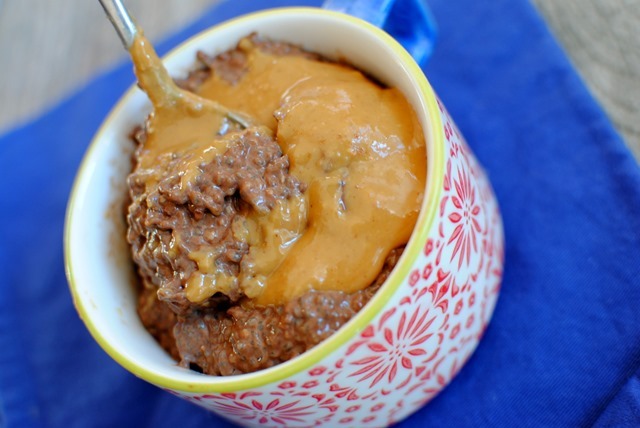 Big thanks to LuckyVitamin for supplying the ingredients used in this pudding! Chocolate and peanut butter are a match made in heaven. I find myself pairing the two together on an almost daily basis. Chocolate peanut butter smoothies. Dates topped with peanut butter and a sprinkle of chocolate chips. Cocoa oatmeal with melted peanut butter. Chocolate peanut butter banana soft serve. 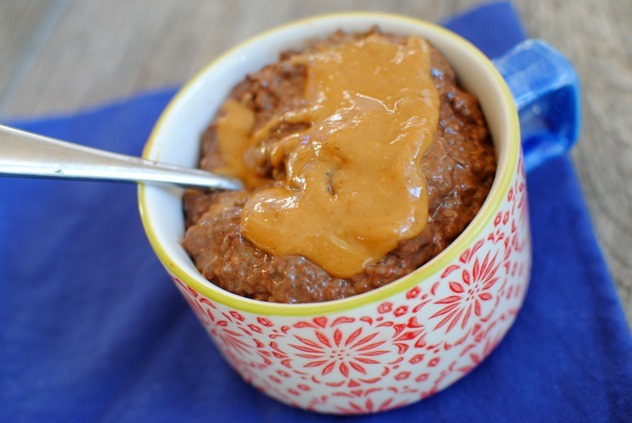 So why not chocolate peanut butter chia seed pudding!? I’ve shared a handful of chia seed pudding recipes on the blog before and feel like I am continually playing around with different flavor combinations and ingredients. I think it’s time we gave chocolate and peanut butter the chia seed pudding spotlight. Chia seed pudding has been a favorite of mine for years. 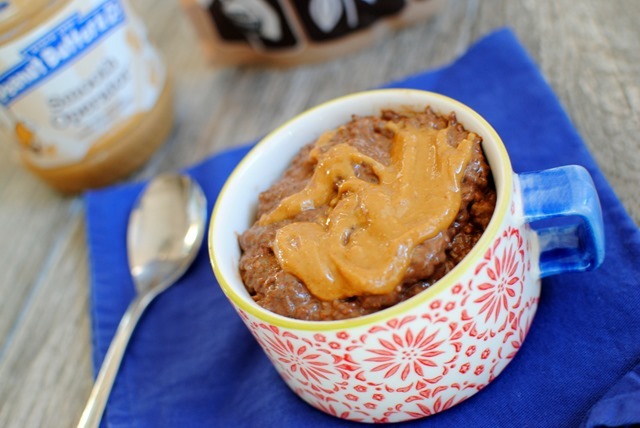 I love it for breakfast, a mid-morning snack and dessert and this chocolate peanut butter chia seed pudding has quickly become my go-to recipe. You can change things up and use your favorite nut butter in place of the peanut butter, but I like to keep it classic and typically opt for creamy or crunchy peanut butter. 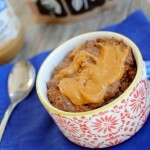 This recipe for chocolate peanut butter chia seed pudding is a delicious dairy-free dessert made with fiber-rich chia seeds, creamy peanut butter and cacao powder and is sure to satisfy your sweet tooth in a healthy way. I owe a big thank you to LuckyVitamin for replenishing my chia seed supply and sending me the ingredients I used to make this recipe! Blog reader Leah works for the company and when she first reached out to me about the third-generation owned family business, I quickly became impressed with LuckyVitamin’s website and product offerings. They have everything from super-healthy organic foods to natural skin care and beauty products, as well as 40,000+ health and wellness products at up to 75 percent off retail prices with super fast shipping (free on orders $49+). And if you decide to order something from the site, LuckyVitamin offers a 90 Day Happiness Guarantee where you may return anything from your order if you simply don’t like it, whether it is opened or not! 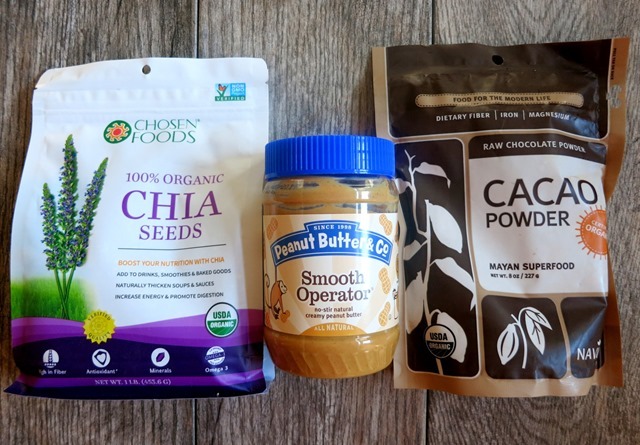 I had no trouble selecting a handful of my usual staples from their site to use to make this chia seed pudding and couldn’t resist browsing around the site and loading up on some of our favorite household cleaning and baby products. Thank you so much to Leah and the LuckyVitamin team for such a fun package! I must also thank LuckyVitamin for offering one PBF reader a $100 gift card to use toward anything on their site! To be entered into this giveaway, please leave a comment on this post, telling me about one thing you’d likely purchase from LuckyVitamin.com if you won. Would you load up on some healthy food? Restock your cleaning supplies? Please let me know! This website looks fantastic! 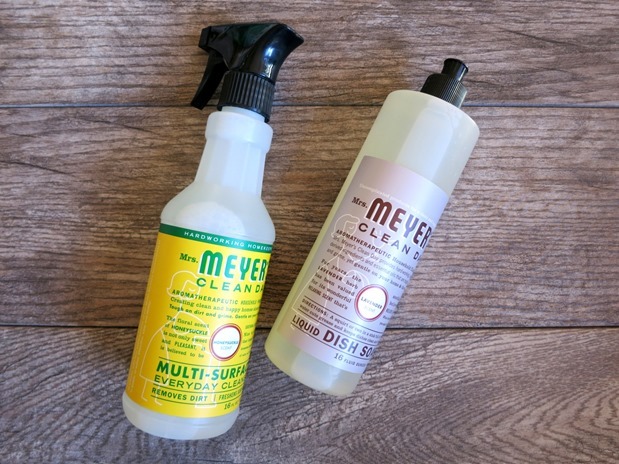 I already love Mrs. Meyer’s cleaning supplies and know that I would definitely buy some of those!! So many options! I would prioritize pantry staples, tea, BCAAs, and whey protein! Definitely some new protein powder, nutritional yeast, and some nut butters! 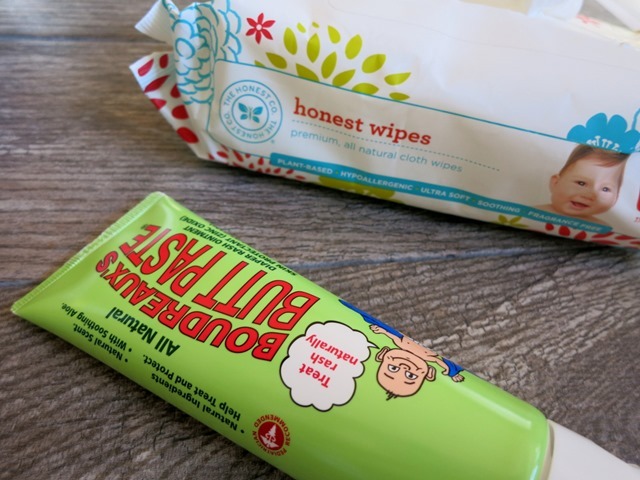 I’d stock up on natural baby care stuff as Im having my first baby at the end of next month!